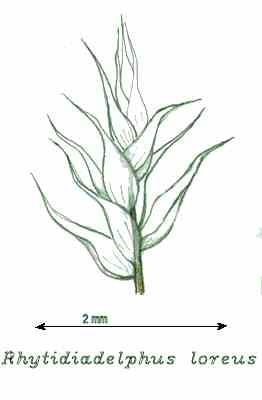 Greek Rhytidiadelphus, brother of Rhytidium, a moss which it resembles from rhytido-, wrinkled ; loreus, striped, possibly referring to folds in the leaf, or the obscure costae which appear as small lines at the base of the leaf. 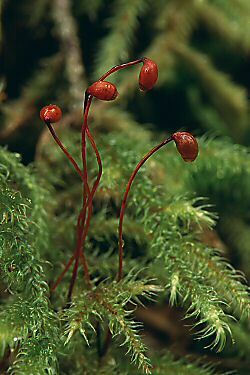 Rhytidiadelphus loreus with sporophytes, on a log. Indian River Trail, Sitka. May 23, 2004. 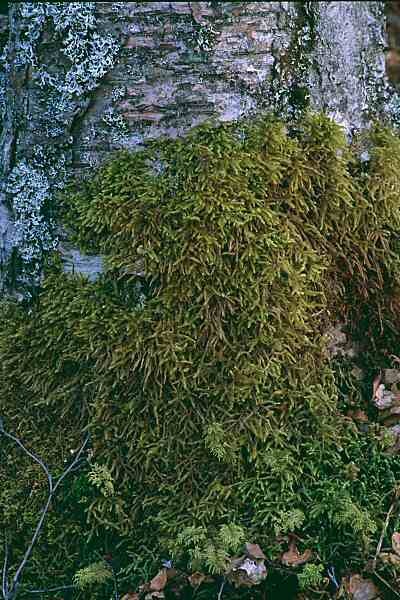 This large moss forms the dominant ground cover of lowland and montane forests near the west coast. Elsewhere it is rare (Vitt et al. 1988) According to Schofield (1992), Rhytidiadelphus loreus is widespread mainly in mountain forests where it is usually found on the forest floor. In addition to the east and west coasts of North America, it is also found in Europe. He adds that this moss is used to decorate hanging baskets of plants. These specimens were found in early April at Bird Point on Turnagain Arm, southeast of Anchorage. They are climbing the base of a large birch tree which is approximately 40 cm in diameter. 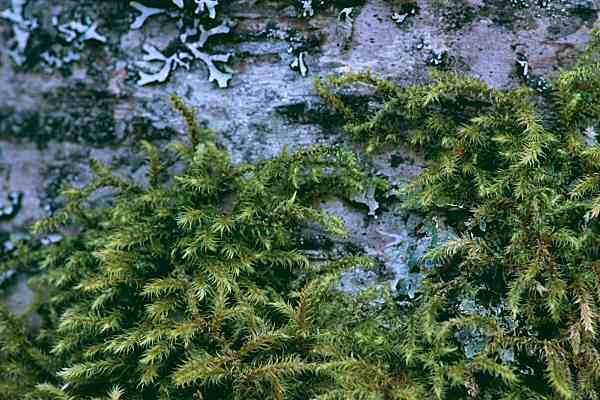 The feathery moss at the bottom of the photo is another common montane forest dweller, Hylocomium splendens. The plant shown in the top photo is from Sitka, Alaska.